The Riverfront Townhomes in Avon feature views, solitude, a riverfront location and access to some of the valley's finest amenities. Thoughtful development doesn't happen to a community, it creates a community. When commercial and residential buildings are meticulously designed, communities are able to grow and thrive. 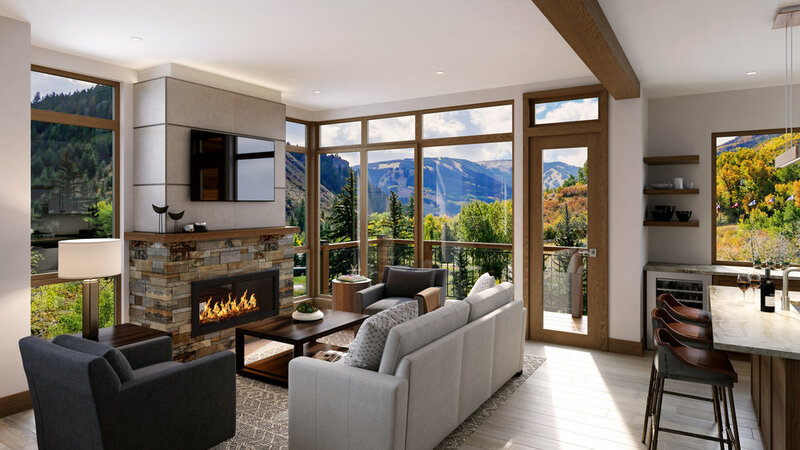 East West Partners is once again behind such a project in Avon, this time delivering 13 beautiful mountain residences just west of the Westin Riverfront Resort. 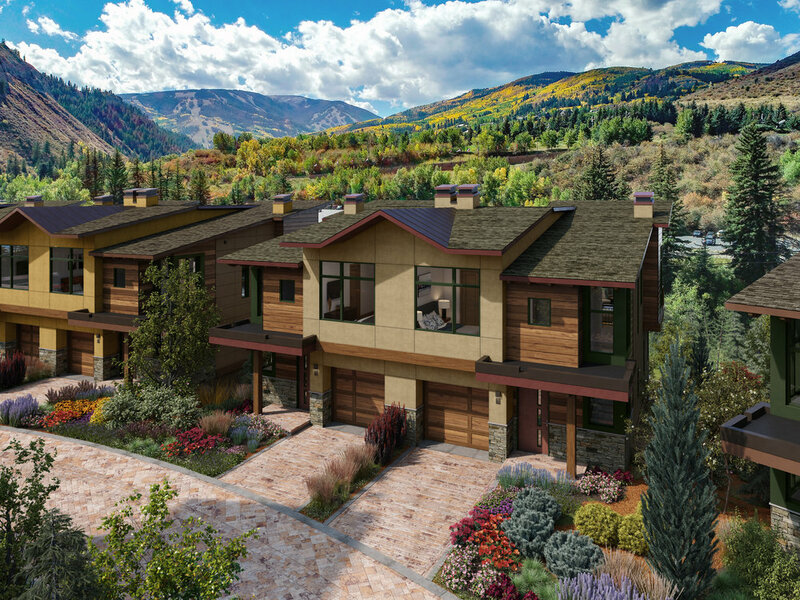 The Riverfront Townhomes will add yet another link within Avon's increasingly walkable community, including easy access for residents to Beaver Creek via the Westin Riverfront Gondola. With a team of local partners including architect Zehren & Associates, Evans Chaffee Construction Group, and Alpine Bank in Avon as the construction lender, the project has become a true labor of love by professionals who also call this community home. "This was a somewhat forgotten parcel for a number of years during the economic downturn. For us to be able to now develop it is really exciting because we feel it is a unique site," said Jim Telling, Managing Partner at East West Partners. "It's southern facing and offers this rare connection to the river. Residents will have access to all of the amenities at the Westin and it's walkable to town. For us, this is the opportunity to create some really fun lifestyles for people." East West Partners hasn't launched a new residential project in the Vail Valley in more than a decade. When the firm takes on a new project, it's particular about developing on sites that are unique places to live in and enjoy, Telling said. "We're all about trying to design a lifestyle and wonderful places to live, in a sustainable manner that makes sense for everyone," he said. East West Partners and Zehren & Associates began master planning the Riverfront developments back in 2004. Telling said the plans initially called for higher density, but 2018 is a much different time. Once fully built out, the property to the west of the Westin will include the Riverfront Townhomes, as well as three single-family homes, about half-a-dozen more townhomes, and a 36-unit condo building between the townhomes and the Westin. "When we looked at it with fresh eyes about a year ago, we saw that what was originally planned was not the right product," Telling said. "It was zoned for more than 100 units, but we'll end up with a total in the mid 50s. We think that's the right market for today's environment." Principal Architect David Kaselak, of Zehren & Associates, said the Riverfront Townhomes represent the continuation of successful planning, which includes responding to today's world. "We felt it important to create a comfortable scale and massing for the project, since we all consider it a continuation of the Westin campus," Kaselak said. Both East West Partners and Zehren & Associates are consistently building in environments that include beautiful natural surroundings such as mountain-resort and coastal destinations. With its prime riverfront location, both firms knew the natural surroundings would be one of the main attractions of this development. Our firm relishes projects where sensitivity to the site is paramount. This often leads us to mountain or coastal environments, near or within resort neighborhoods," Kaselak said. "This informs our design philosophy, which includes "designing from the inside out" and taking maximum advantage of outdoor spaces by bringing the outdoors in. Our designs react to the site and natural forces around the project, and hopefully reinforce them." The Riverfront Townhomes feature a strong tie to nature and the outdoor lifestyle, with amazing views to Beaver Creek, convenient access to the recreation path and the Eagle river, and a short walk to the Riverfront gondola in winter, Kaselak added. "We are also striving for LEED Gold certification, incorporating the latest innovations in green design," he said. In addition to being a good neighbor to the natural environment, Kaselak and Telling said it was equally important to be a good neighbor to existing development in the area. "The new project steps down in size from the Westin hotel to the western edge of the property. The exterior materials were treated the same way — they don't mimic the materials used on the hotel, but they complement them nicely so there's an overall visual harmony to the neighborhood," Kaselak said. "It was a joy to work on the site plan, because none of us were trying to maximize density, which often leads to uncomfortable massing and scale." 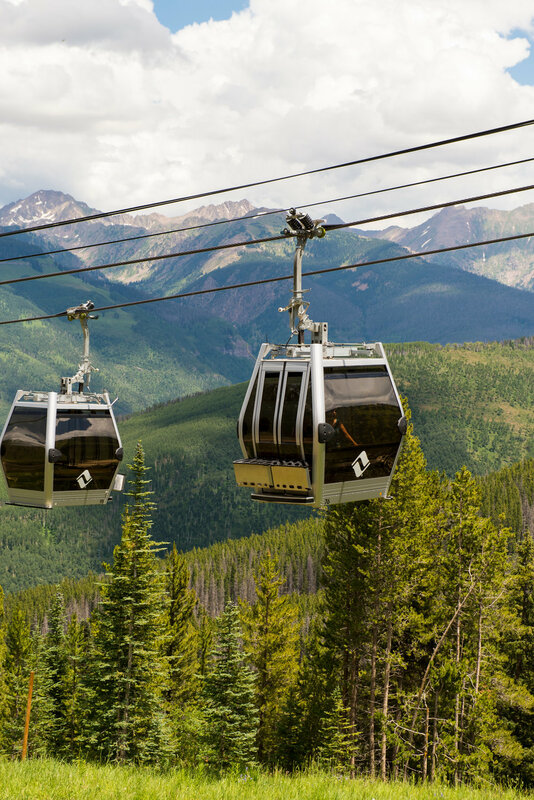 Vail Resorts is dedicated to providing the world’s best customer experience year-after-year, resulting in constant upgrades and exciting new technologies. Here is a look at what’s new at Vail & Beaver Creek for the 2018-2019 ski season. Vail Mountain is installing 10 new low-energy + high capacity fan guns on Born Free trail in Lionshead AND upgrading pumps mountain-wide to increase snowmaking productivity. 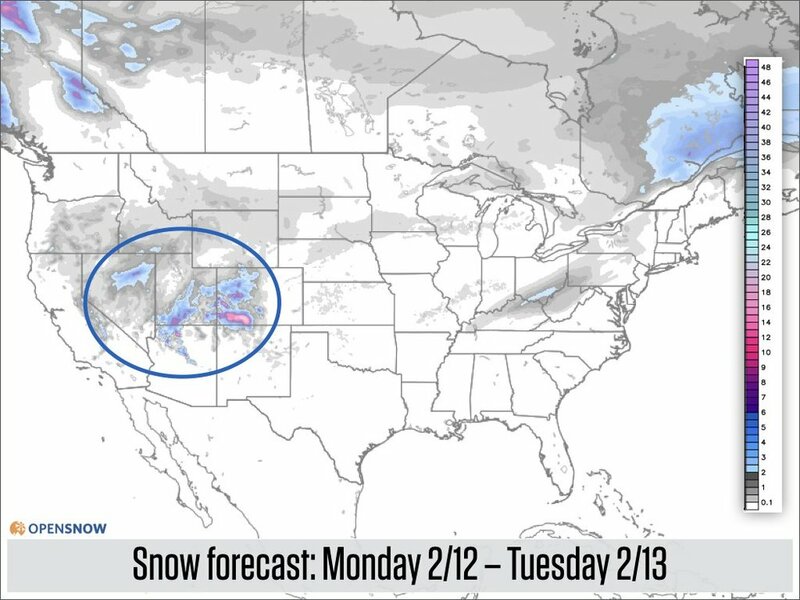 The Back Bowls will be even more accessible with a 30% increase in groomed terrain. Only a few more weeks until you can shred fresh corduroy on trails like The Slot, Poppyfields, Grand Review, Big Rock Park, Ricky’s Ridge, Yonder Gully and more! Located in Vail Village, the Colorado Ski & Snowboard Museum is back open after a year-long, $2.6M renovation. Make sure to check out the new interactive exhibits that delve deep into Colorado’s snowsports history. It is also a great place to stock up on unique gifts for all ages. Beaver Creek is focusing efforts on learning terrain with its reimagined Haymeadow Park Learning Area. Following the debut of the upgraded Red Buffalo Park beginner terrain in 2017-18, Haymeadow Park will feature a beginner gondola and lift, Haymeadow Express Gondola and Highlands Lift, in addition to magic carpets designed for beginner skiers and snowboarders — of all ages. Terrain improvements include a learning area with small terrain features, a beginner racecourse, Buffalo Bumps and Berms and Ske-Cology environmental learning. Haymeadow Park also features a new Ice Cream Parlour located at The Ranch, offering soup, sandwiches and more for kids enrolled in ski school. He can't carry your skis or give you directions, but Beaver Creek's newest ambassador will be accompanying the mountain safety team to spread the word about safety on the hill. Beaver Creek's first-ever mountain safety dog Willy is not a certified avalanche rescue dog, but his handler Mark Carll has plenty of important information for guests about safe skiing and riding in the mountains. Willy is a golden retriever. Follow his travels this winter using hashtag #WillyBeSafe. 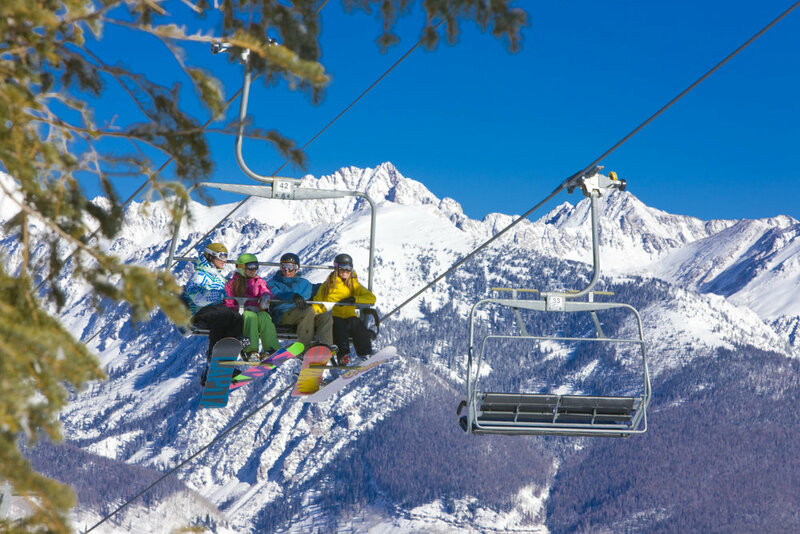 Planned for 2020-21, Beaver Creek's continued focus on family-friendly zones on the mountain continue with the McCoy Park expansion. The proposal includes lift-served ski terrain at McCoy Park, located at the top of Strawberry Park Lift and currently offering Nordic and snowshoe trails. The plan would add about 250 acres to the resort's skiable terrain, developing 17 trails that would be "groomable glades." About 75 percent of the terrain would be beginner, with the remaining being intermediate. All plans are subject to U.S. Forest Service approval and a decision is expected later in 2018, with a two-year proposed build out. A website called House Method recently named the Town of Eagle the most underrated community in all of Colorado. House Method describes itself as a resource to help people "create the home you imagine." That mission includes everything from product reviews to renovation tips and an annual listing of the most underrated towns in America. "We put out a national query for nominations and polled our editorial teams," said Emily McCrary Ruiz-Esparaza. "All in all, we evaluated about 500 towns to create this list." "And finally, we wanted to find places that most of the population hadn't heard of," said Ruiz-Esparaza. "You'll find some exceptions, but these are cities that get publicity for only one event (like Park City's famous Sundance festival) or are often overlooked for their more famous neighbors." 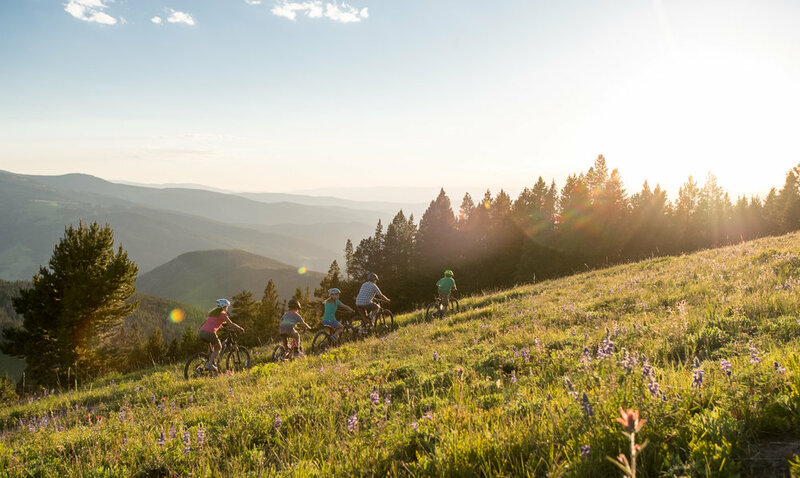 House Method writes "Located along the Eagle River, and just minutes from the world-class resorts of Vail and Beaver Creek, Eagle is the perfect destination for the outdoor enthusiast." Calling the community a "hidden Colorado gem," House Method touted Eagle's "variety of hiking trails, mountain biking, hunting and trail running. Fishing is also extremely popular in Eagle and is considered a year-round sport. While fishing at Brush Creek, Sylvan Lake or Nolan Lake, you'll get to enjoy vast meadows and mountain peaks as your backdrop." On the economic front, House Method shared the following. "Eagle has one of the lowest unemployment rates in the country — just 2.1 percent." When she talks about Eagle, Kensinger targets that "surprise" factor the House Method cited. "It's hard to find the quality of a little town like Eagle. The beauty and the people are really what makes it so special." "Eagle is the best of all those places," she said. "I had forgotten how truly beautiful it is here." Kensinger's affection for the community isn't unique and she recently reached out to a number of like-minded neighbors to form a new group called Friends of Eagle. "Our mission is to build community in the town of Eagle," she said. "We are trying to meld everyone together in this great little town and we want to have fun doing it." The group's first event was a rousing success — the Our Community Table dinner celebrated in late August. Eagle residents were invited to share a meal with their neighbors at tables set up the length of Broadway, Eagle's main street. Everyone was asked to bring and share their own food and the event did not seek out sponsors but it did ask for donations to cover the cost of renting and setting up the tables. "Our donors were so gracious. We get amounts ranging from $25 to $500," Kensinger said. "We were hoping to get 300 to 400 people. We ended up with between 800 and 900 people," Kensinger said. "We were just over the moon." "People here want to get together. They want to know the history of the town and contribute." On August 1, 1876, President Ulysses S. Grant made Colorado the "Centennial State." Now known as "Colorado Day," where residents come together to celebrate the best of our lovely state, whether it be music, recreation, or its rich history. In honor of Colorado Day, Colorado Parks and Wildlife is waiving entrance fees to all 42 state parks on Monday, August 6th. You might be asking yourself, but how do I choose!? Luckily they put together a list of some fan favorites to help you narrow your search. I have only been a Coloradan for 10 years but feel lucky to call it home. To show my state pride on this special day I have compiled some fun facts about why Colorado ROCKS (see what I did there). Colorado is the only state in history to turn down the Olympics? In 1976 the Winter Olympics were planned to be held in Denver but in a last minute vote 62% of voting Coloradans chose to pass because of the costs, pollution and population boom it would have on the state. Colfax Avenue in Denver is the longest continuous street in America! The 13th step of the state capital building is exactly 1 mile high above sea level. Denver has the largest city park system in the nation with 205 parks in City limits and 20,000 acres of parks in the neighboring mountains. Colorado has more microbreweries per capita than any other state. Cheers to that! Here is to you Colorado! You look pretty darn good for 142. A company called Smart Asset recently ranked the top 25 "Happiest Counties in America" and Eagle County hit the list at #20. In order to rank the happiest places they compared counties across eight factors: unemployment rate, poverty rate, affordability ratio, marriage rate, divorce rate, bankruptcy rate, live expectancy, and physical activity rate. First they ranked each county in each metric. Then they found the average ranking for each county to create the final score. Eagle County finished out with a 92.34...not too shabby! Check out the top 25 below and CLICK HERE for the full story!